A new version of Minecraft Pocket Edition - 1.0.5 beta 3 (1.0.5.11) was released, but it does not contain the traditional beta tag displayed at the top of the screen. Many people think that this is a release. However, there is no information about a new version on GooglePlay, Apple Store, Amazon App Store and Windows 10 store. Yes, if you visit the bug-tracker, you will see the latest version 1.0.5 beta build 3. Perhaps this version really should have been a release, but for some reason the developers left it on the beta channel. 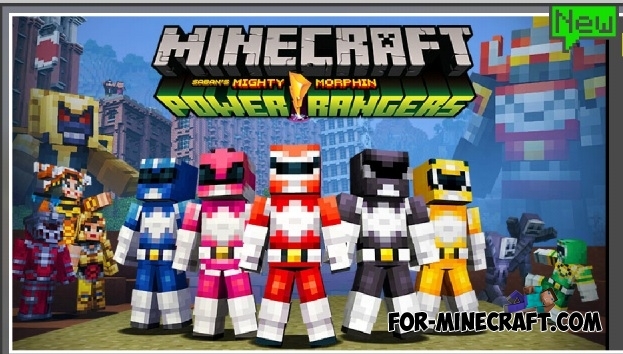 The MCPE 1.0.5 beta 3 changelog is late but a quick analysis of the apk-file shows us the sound effects for chorus plants, as well as a set of Mighty Morphin Power Rangers skins. By the way, March 24 is the premiere of the Power Rangers movie. And if the skin-pack is dedicated to this event it is quite possible that Minecraft Pocket Edition 1.0.5 will also be released on March 23rd.